All you have to do is use your Dillon's card and Community Village Lawrence will receive a donation from Dillon's every time you shop. It's simple, easy and free, and will not affect your fuel points or coupon discounts. 1. 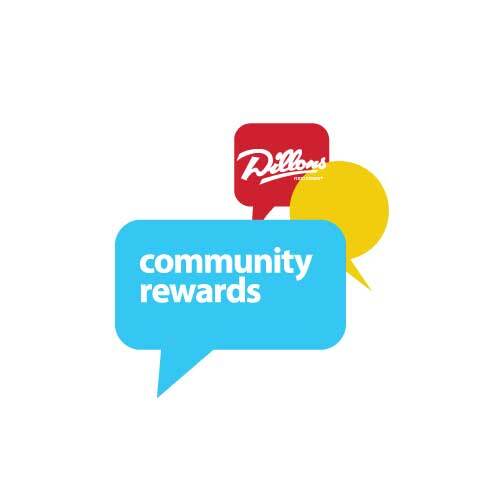 Visit www.dillons.com/communityrewards and Sign In. Note: If you do not have an account, select Create an Account. Enter your email address, create a password, and select your preferred Dillon's location. Then connect your Dillons Plus Shoppers Card to your account by entering the number on the back of your card, or if you have a phone number associated with your card you can enter that instead. 2. After signing in, click Enroll Now. 3. Designate Community Village Lawrence as your organization of choice by entering the code 64198 and you’re finished. Now anytime you shop Dillon’s will automatically donate a small percentage to CVL. If you CLICK HERE you will find a link to step-by-step instructions with screenshot pictures to guide you.